We use the profit we make from your searches to plant trees where they are needed most. Get the free browser extension and plant trees with every search. how_it_works_1 You search the web with Ecosia. how_it_works_2Ads Search ads generate income for Ecosia. how_it_works_3 Ecosia uses this income to plant trees. Trees mean a happy environment, healthy people, and a strong economy. When Ecosia was composed of only a founder, an all-round communications juggler, and a part-time developer, we started planting trees in Brazil. Our tree-planting partner on the ground, The Nature Conservancy, works closely with local farmers. The trees you helped us plant here are contributing to the reforestation of degraded riparian areas in watersheds that supply water to the city of Sao Paulo and surrounding communities. In Burkina Faso, your searches fight the expansion of the Sahara desert, which is advancing into populated areas at an alarming pace. Your searches support our partner OZG in digging water basins into the dry soil, which villagers then fill with seeds that germinate during the rainy season. Trees restart water cycles and bring back plant and animal life, which in turn leads to to better health conditions for locals, more children in school, and women earning their own living. In 2016 Ethiopia suffered one of the most severe droughts in over 30 years. Without water, neither people nor plants nor animals are able to survive. Your searches are supporting our partner, Green Ethiopia. With your help they are reforesting mountain slopes, including fruit trees which will benefit the population in their search for secure food sources. Your searches here are having an especially important effect. The Leuser ecosystem on Sumatra is one of the largest, intact primary forests left in Southeast Asia, and home to the Orangutan. The trees we are planting restore illegally cut parts of this landscape, help protect local wildlife, as well as an unparalleled biodiversity of plants and insects. In Indonesia, your searches are reforesting Mount Saran in Borneo, one of the last remaining habitats of the Orangutan. The Gunung Saran Lester Foundation, which was founded by a collective of local villages, is replicating the success of a project by famous conservationist Willie Smits. This way you are helping improve farmers' livelihoods by planting 10 productive tree species, including the forest-dependent sugar palm, in order to create economic alternatives to palm oil. In Peru, your searches are helping us reforest the San Martin region which was heavily deforested in the 1980s when it became a red zone of cocaine production. A mixture of luck and policies changed the cocaine routes away from here, giving this region a very much needed break. Our partners on the ground, PUR Projet, train smallholder farmers in forest management and sustainable harvesting, making your searches have an even wider impact. In the Pacific Lowlands of Nicaragua, you are supporting reforestation efforts in the largest volcanic lined mountain range. The trees you are contributing to are restoring the heavily deforested area around León. With funds from Ecosia, our partner Fundación Día is using a landscape approach to stop soil erosion, restore water sources, and empower farmers with a more sustainable subsistence model. The destruction of the Brazilian rainforest symbolizes the tragedy of deforestation. Your searches support a group of cooperatives that came together to create PACTO - a pact, literally - in order to accelerate the restoration of the Atlantic Rainforest. 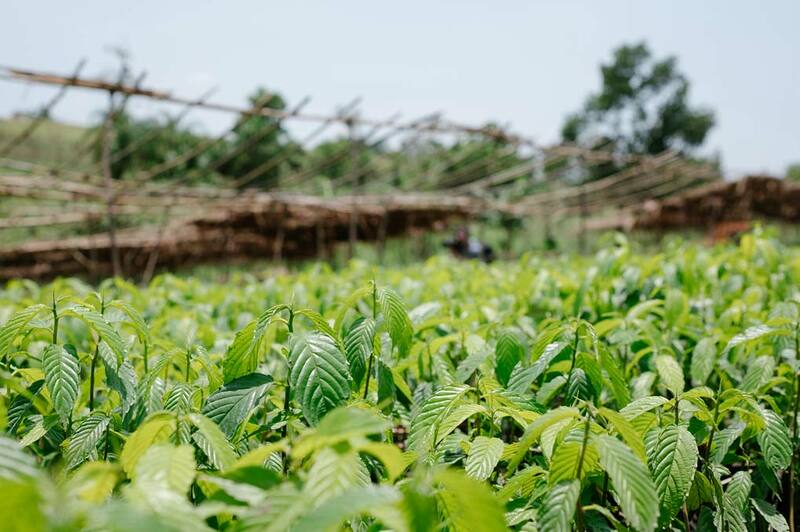 By using Ecosia you are helping our Tanzanian partner, The Friends of Usambara Society, protect vulnerable ecosystems through agroforestry, ecotourism, and rainforest restoration. Our partner works with primary schools and local communities to manage tree nurseries and to determine planting sites, making this a truly grassroots project – one that has already led to entire landscapes being reforested. When your searches restore a mountain slope, they also restore the livelihood of local farming communities, whether they live on the mountain or in the valley below. That is why we teamed up with Progresso, an NGO that works with municipalities around the mountainous region of Piura in northern Peru. In Ghana, your searches are planting trees in collaboration with TreeAid. The project focusses on restoring a river that used to flow year-round but currently runs dry after the end of the rainy season. The farming communities that live along the river further benefit from selling tree products, like fruits and nuts, on the market. The tree-planting project your searches are supporting in Morocco is as unique and multifaceted as the country itself. Unlike the other reforestation organizations we support, The High Atlas Foundation does not aim at reforestation itself. Instead, it combines social, educational, and agricultural goals. Planting fruit just happens to be the best way to attain them. 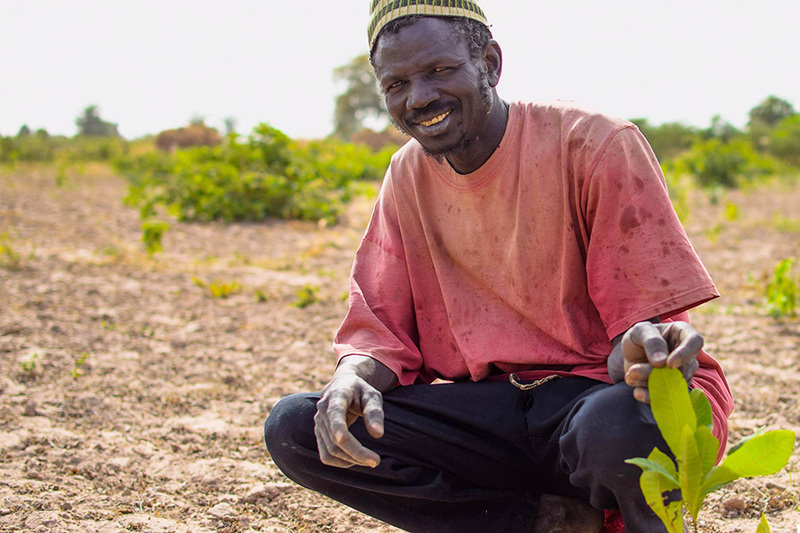 With the help of our partner, Trees for the Future, your trees in Senegal are planted in and around agricultural fields. In this dry, heavily deforested part of Senegal, our project has already led to measurable increases in water quality and soil fertility. 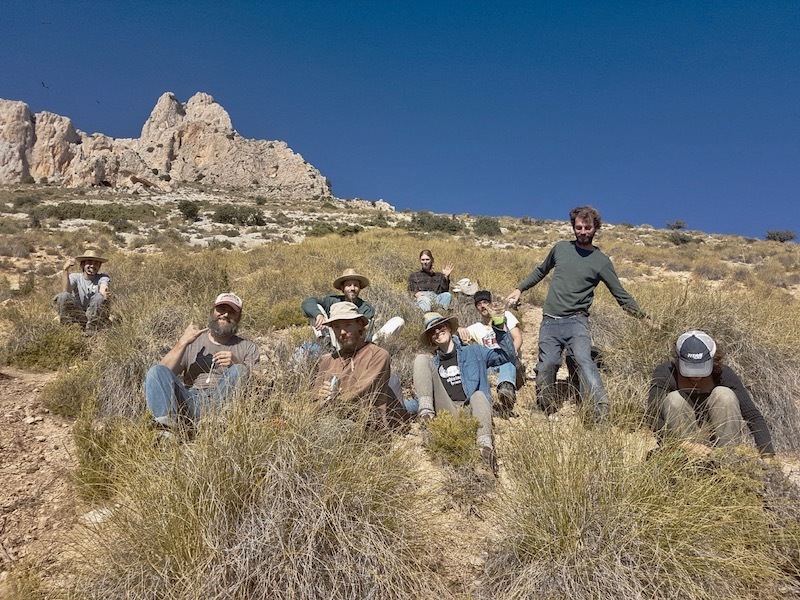 Your searches are reforesting degraded landscapes in Spain, one of Europe's most biodiverse countries. Although this is one of our smallest projects, it is noteworthy for being Ecosia's first project in a developed country. Through their community approach, Alvelal exemplifies how local farmers, entrepreneurs, and global citizens like you can take the lead in reforesting degraded soils and forests. Your Ecosia searches are supporting coffee farmers in Cauca, Colombia. After enduring armed conflict for more than five decades, this region is now going through a major transition, since a peace agreement was made between the government and guerrillas. By planting trees and moving away from illegal coca plantations, your searches have the potential of providing the population a stable and secure future. Your searches are also having an impact in Haiti. Our partners at Eden Reforestation Projects have brought together a coalition of governmental and non-governmental organizations to restore the damage done to Haiti after two hurricanes and a devastating earthquake. Here, we are distributing tree saplings to local farmers and elementary schools to fight food insecurity, we are reforesting watersheds, and planting trees along reconstructed roads. Your searches are saving Uganda's chimpanzees. 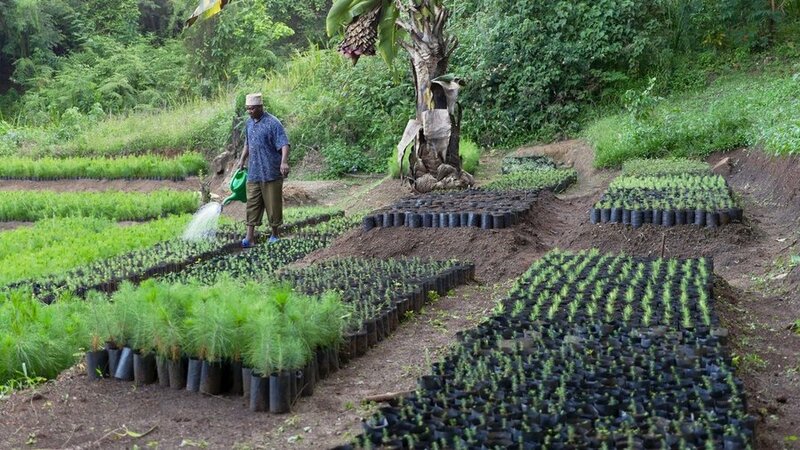 Our local partner, the Jane Goodall Institute, is planting so-called 'forest corridors' connecting small forests throughout Uganda's south. This way, chimps can safely move from one forest to the next, diversify their diet, and start a family. It gets better: the trees are mostly planted along rivers, thus improving the entire region's water supply. Thanks to you, we’re part of Kenya’s green belt movement, founded by Nobel Peace Prize laureate Wangari Maathai. The movement empowers Kenya's rural communities, particularily women, to conserve biodiversity, restore ecosystems, and mitigate local manifestations of climate change. The Green Belt movement has been campaigning against land grabbing, deforestation and corruption since 1977. Your searches provide urgent help to Madagascar: 90% of its forests have been lost, destroying the home of unique animal species such as the island’s famous lemurs. One part of this project consists in planting deciduous trees, restoring corridors to re-build these habitats. A second part plants Mangrove trees, which are efficient CO2 absorbers. The project is led by our partners the Eden Reforestation Projects who hire villagers to plant the trees. With the help of Fair Ventures in Indonesia, your searches are restoring degraded areas in the central part of the Kalimantan island. The trees planted are part of an agroforest, where crops are growing between the trees. This means that by planting them, the local population can both restore their landscapes and grow better and more abundant crops. That is why we publish our monthly financial reports and tree planting receipts. This way you can hold us accountable as we follow our journey to a reforested world. We don’t sell your data to advertisers and have no third party trackers, unlike most other search engines. We’re are a community of people who want to create a greener and better world for everyone. Subscribe to our newsletter for regular updates, and connect with us on social media.